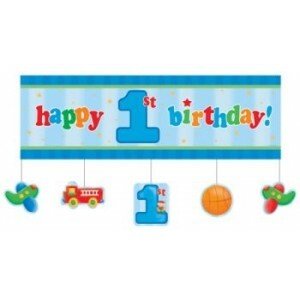 Fun At One Giant Banner (5ft) - Boy is a colourful banner with hanging attachments in the lovely Fun At One theme. 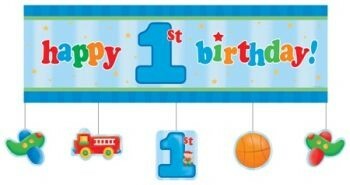 Each banner is 152.4cm x 50.8cm with 5 attached themed cutouts - 20.32cm each. This is a lovely decoration guaranteed to make a statement at your party.